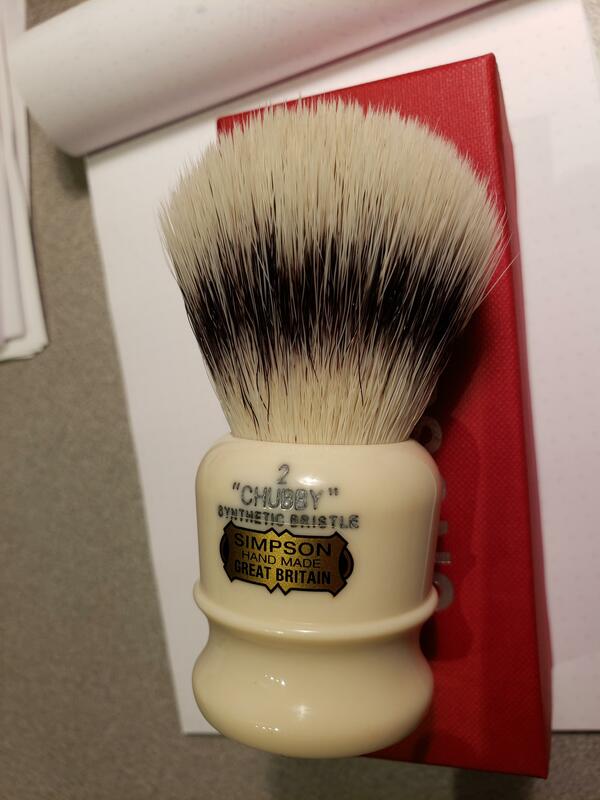 Simpson Chubby 2 Synthetic Brush. Used less than a few dozen times. Excellent condition; however, the "Chubby" printing is starting to fade. Includes original box. $85 $70 USD shipped CONUS. One last price drop on the Simpson Chubby 2 Synthetic. I'm going on vacation this weekend and this is the last price drop in order to make a deal before I leave. If it doesn't sell today or tomorrow, I won't be able to ship until the end of the month. 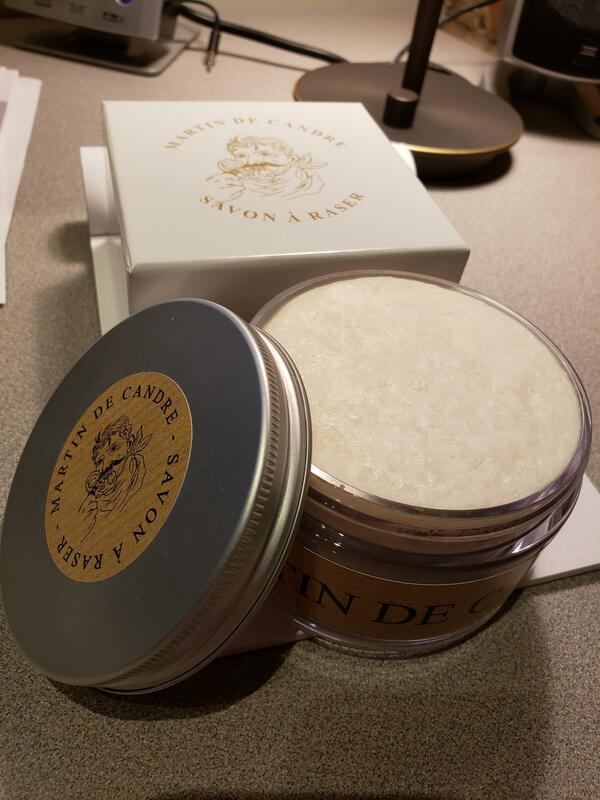 I am willing to bet that the "fading" letters is just soap. Try mixing vinegar and water and using a toothbrush to clean it off. This happens to my Paladin and I clean the letters back to black in no time.